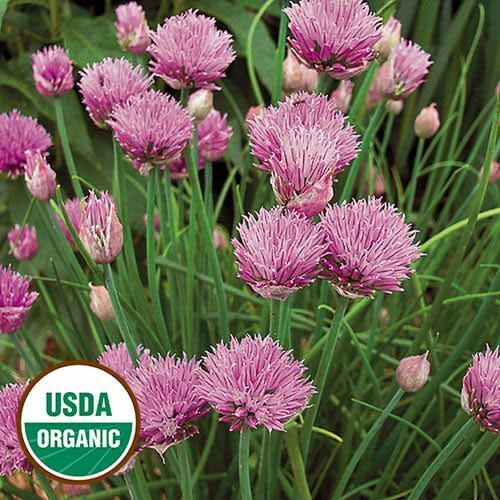 (Allium schoenoprasum) The delicate onion-flavored narrow green foliage of chives is good for fresh eating or cooking and can even be frozen for use later. The cheery, lavender-pink flowers of this perennial are edible and make a welcome addition to ornamental borders as well. Plants will self-seed. Perennial in zones 3-9.